We Can Fix Baxi, Ideal, Potterton & Vaillant Boilers. Expert Boiler Repairs In Norbury Provided By Fully Qualified Engineers. Do you need professional same day boiler repairs in Norbury, carried out by qualified experts? Trustworth Plumbing carries out expert servicing and installations that meet the highest of industry standards. Regardless of the make of boiler, we are skilled to fix them, without making any errors. We are very happy working with (and fixing) Baxi, Vaillant, Ideal and Potterton models. There are great advantages of investing in having regular boiler services done. You can have major peace of mind knowing your appliance is working with 100% efficiency. Trustworth Plumbing offers the most reliable home heating solutions. We are legally registered to carry out gas work. Our number is (301783). Safety is the most essential part of working on your home boiler. The safety of all of our customers is something we take very seriously. Working with gas on a daily basis means you have to have 100% respect for how potentially dangerous it is. Our work is always carried out to the best of our ability. Luckily for you, our ability puts us among the very best in the business. We offer aftercare packages that helps your appliance work to its maximum capabilities; especially in the colder months. Our Norbury boiler repairs team are dedicated, friendly and always look at ways they can improve their work. Our excellent reputation has been built over years of hard work. If your central heating system has a hidden fault - we can find it. Any repair we carry out is designed to last. We recommend a 'service' at least once 12 months. If you want extra peace of mind, then you can choose for an additional service, within that time period. After we finish your boiler repair, we feel it is important to give you tips on how you can maintain its excellent condition. If you choose for your appliance to have regular checks / maintenance, you can maintain its high efficiency. In the event your boiler breaks down, you will have to initially deal with having no running hot water or heat. On a cold winter's morning, this will be the last thing you want to be faced with. To help you out, call our emergency team immediately. They tackle this sort of problem daily and go straight into autopilot. As a company always striving for excellence, we keep informed about the newest boiler technologies. We look at ways to be more efficient and additional ways safety can be improved. Our boiler repair Norbury team have the patience and knowledge for this business. There are too many unqualified people operating within this industry. More awareness needs to happen to prevent people from using their services. If you have suffered an unexpected boiler breakdown in SW16, then call us immediately on 07951538977. Our customers will even send their friends and family our number. They do this because they know if they face a heating emergency, they are in safe hands with us. Norbury is in the Borough of Croydon in London and has many new businesses starting up in the area. If you are a local business, organisation or landlord, you can trust our repairs. We do every single possible safety check that can be done. Our team can find the hardest of hidden faults, that many others can fail to spot .Fixing your boiler is just getting one half of the job done. They aim to make it efficient so you never have sub-standard heating. In addition, we offer advice that can help safeguard against a high frequency of future breakdowns from happening. We can safely install the best quality boilers currently on the market (Vaillant, Baxi, Ideal or Potterton). We can expertly service them so they function with the maximum efficiency possible. You must hire a fully qualified company, otherwise you are putting your in danger. An unqualified person will make mistakes and some of those mistake can even be deadly. Choose our excellent servicing package for your household and you will receive the best installation aftercare. 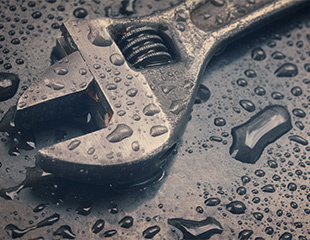 Call us, so we can discuss the perfect maintenance option for you. We have a very hard-working boiler installations team, who are very dedicated to their job. They can best advise you on how to safely dispose of your old boiler. We offer a 3 year guarantee on all installations. 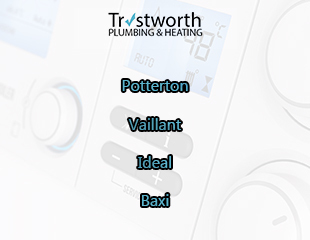 For all boiler emergencies in Norbury, there is only one company to call - Trustworth Plumbing. Call our 24 hour response team to attend your property and help you. 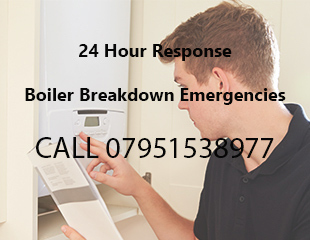 Our same day response service means we can to fix all boiler problems within hours of them occurring. We understand this specific type of heating emergency will be very testing if you have young children in the house or are elderly. We do our best to arrive quickly to assess the situation. Our hugely dedicated company covers the South-West London region. Homeowners, business owners and landlords, trust us to do the job to perfection. We have the necessary skill, tools and experience to deal with any technically challenging repair.